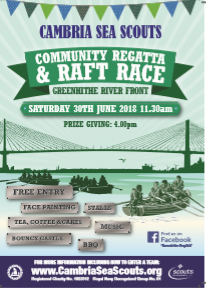 Back in 2015 we upgraded our raft race and launched the first Greenhithe Regatta since 1866. This has been a huge sucess so this year we are doing it again. Learn more about the history of the regatta and why we are doing it. 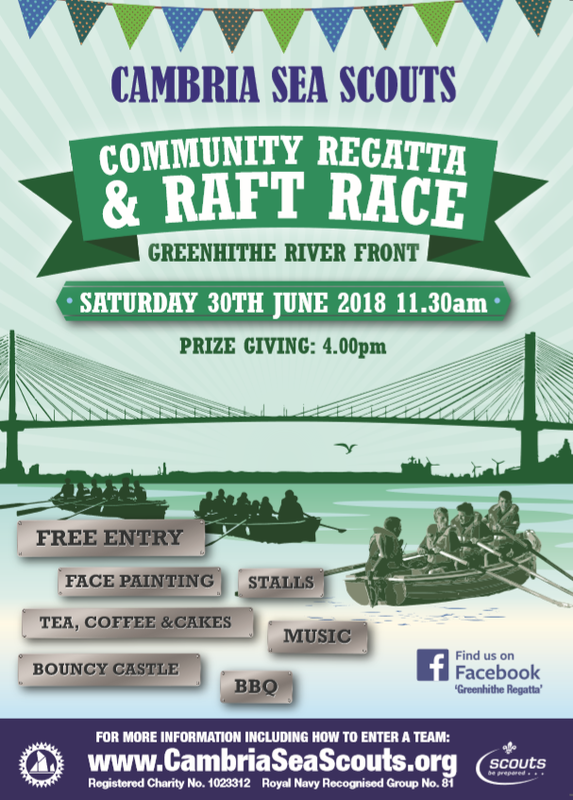 This is a great family day out with the Raft Race to watch (or enter for anyone who fancies having a go) and plenty to see and do. We have a BBQ, Tea, Coffee and Cakes, Music, Stalls, Bouncy Castle and Demonstrations. There will be rowing races during the day and we are looking for teams in all of the categories. There will be certificates for all entries and trophies for the winners. Amongst the regatta races will be the raft race and we are also looking for teams to enter. Please do come along and support us, the day is free, it's open to everyone and doors open at 11.30am. The prize giving will be at 4pm. Thankyou to the Asda Foundation for sponsoring the Regatta. Thanks to this donation we will have even more activities for little ones. The Craft Tent will be fully stocked with paper, glitter, pens, pencils, rope making and we will also have face painting. See all the latest news and details.